Associate Professors Denny Oetomo, Ying Tan, and the team at The University of Melbourne together with Royal Melbourne Hospital have developed a device that helps stroke patients learn to use their bodies again by tracking their movements while performing exercises. The arm movements can be displayed on a computer screen, and the activities turned into a game. “The patients enjoy using the robot because it’s like playing computer games,” Denny says. A common outcome of a stroke is paralysis of the limbs. While many patients learn to walk again, rehabilitation is costly and time-consuming, so many patients never recover arm movement. The robotic arm straps onto the patient’s arm and is hooked up to a clinician-monitored computer. The robot can recognise patient effort and help provide the appropriate level of assistance or challenge to complete a movement. 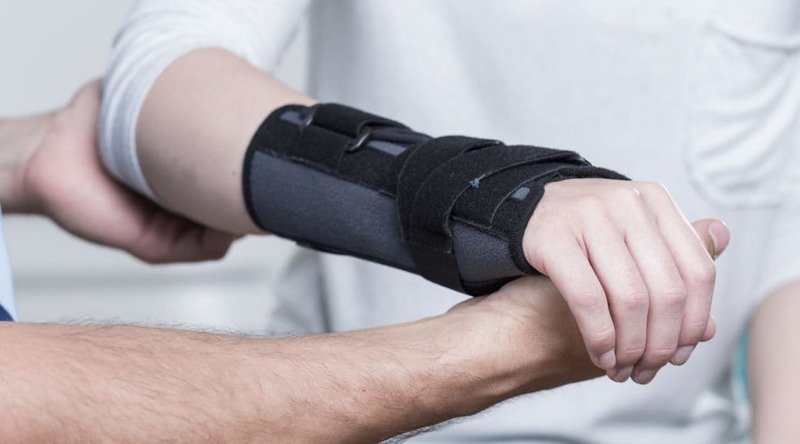 It provides patients with varied exercises and reduces face-to-face guidance from the clinician, allowing more independent exercises to be carried out in the patient’s own time, thus increasing the chances that they’ll continue with treatment. This leads to a much-improved rehabilitation process—the more a patient exercises, the faster they rewire their neural pathways. The computer monitoring the robot compiles detailed records that can be used to improve treatment regimes. Denny is now looking at commercialising the robotic arm and hopes to obtain funding in the next 12 months. He hopes that eventually patients will use the robotic arm at home.